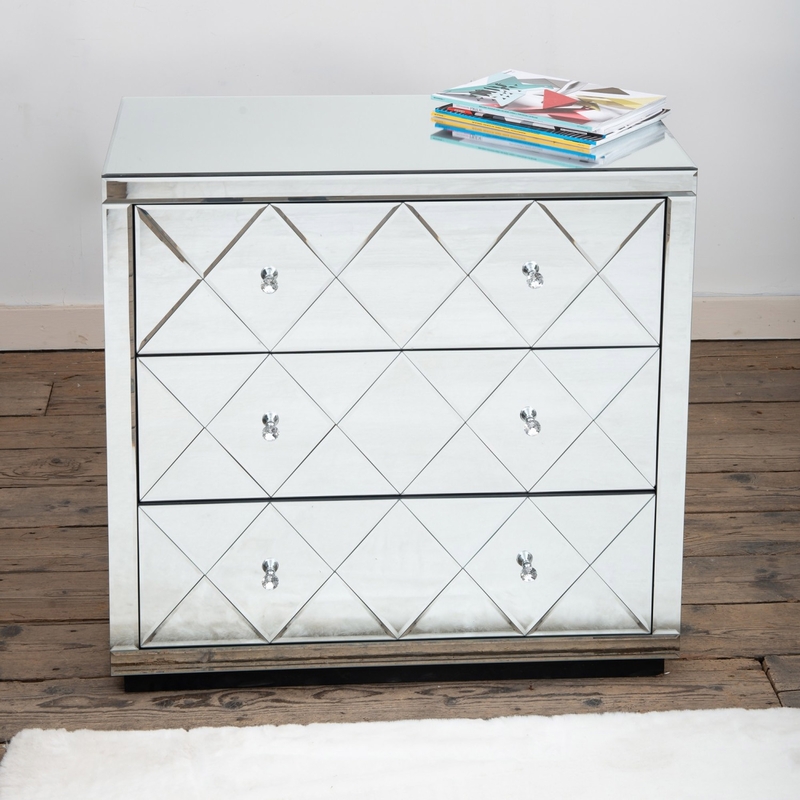 Announcing to your from Homesdirect we have this gorgeous new diamond mirrored chest of 3 drawers. Perfect if you are looking for a great way to add style and a very vogue appearance to your bedroom. A greatly, amazing new addition to your home , giving off that striking representation.